2. Comb the hair back from the face, towards the back of the model. Note that the hair is dry and relatively clean. You may prefer hair that has been washed the day prior to the styling session, as there has been ample time for the sebum or oil manufactured by the hair follicle to distribute along the surface of the hair. The oil helps the hair strands to stick to one another to a limited extent, making it easier for you to work with the hair when creating upstyles. 3. Apply a generous amount of heat-protection spray or cream to the hair, distributing it along the length of the hair from root to tip. Create a two inch section with the sharp end of your tail-comb. 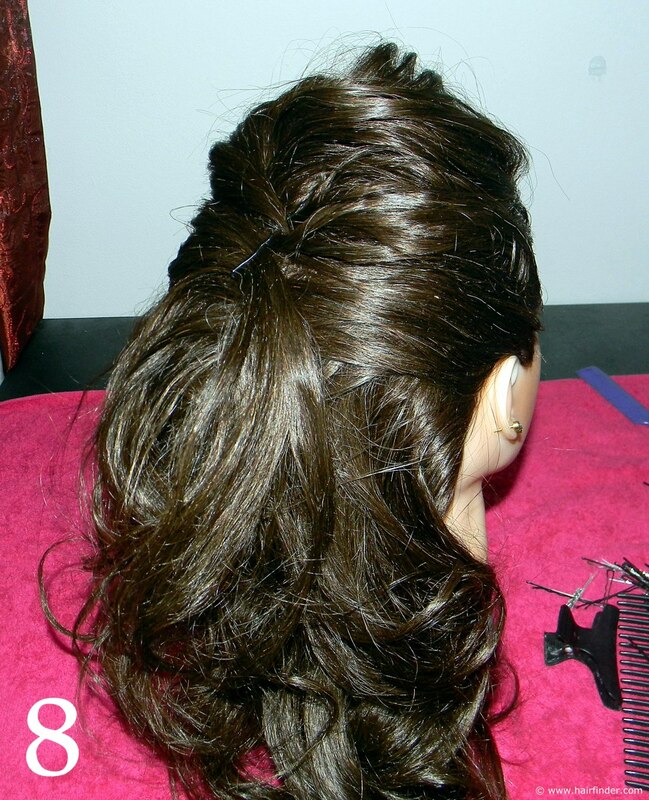 Clip the rest of the hair in an upwards fashion, away from the space that you’re working with. 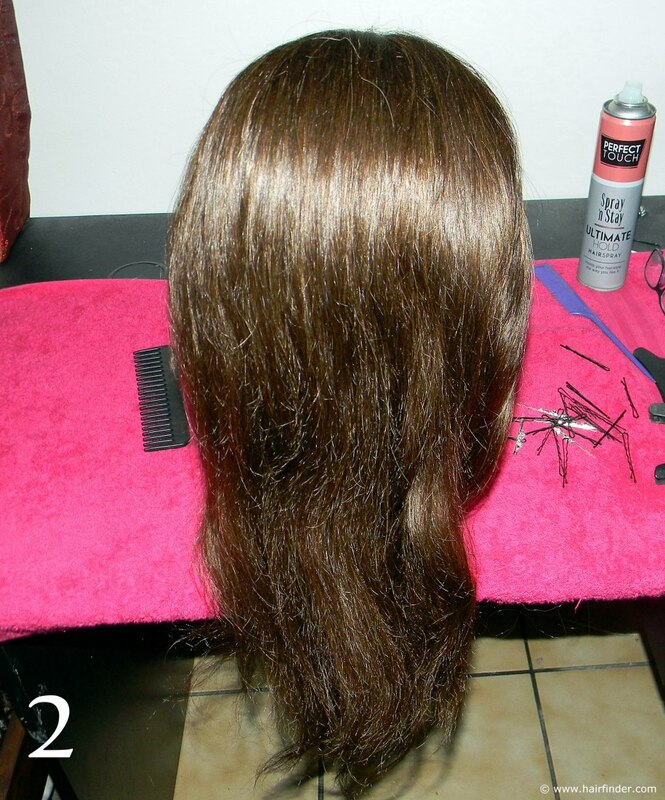 Take a piece of hair that is between one and two inches thick (depending on the thickness of the model’s hair). 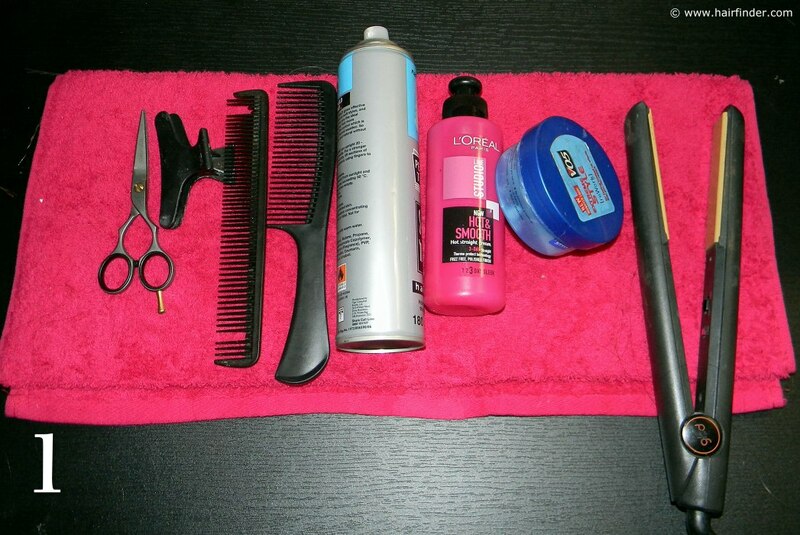 Start at the roots of the hair, placing the hair strands between the blades of the flat iron. 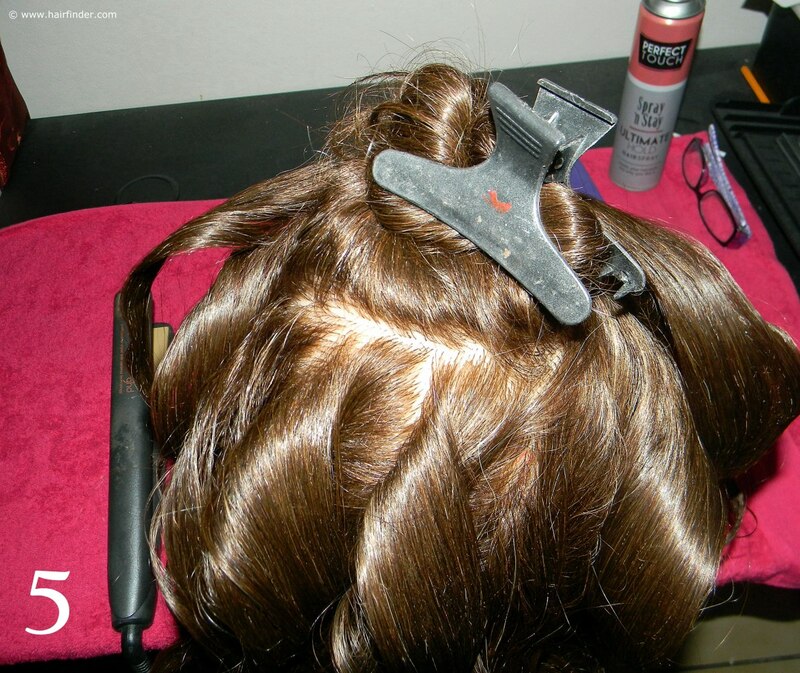 Close the flat iron and twist the device in a 180 degree angle. 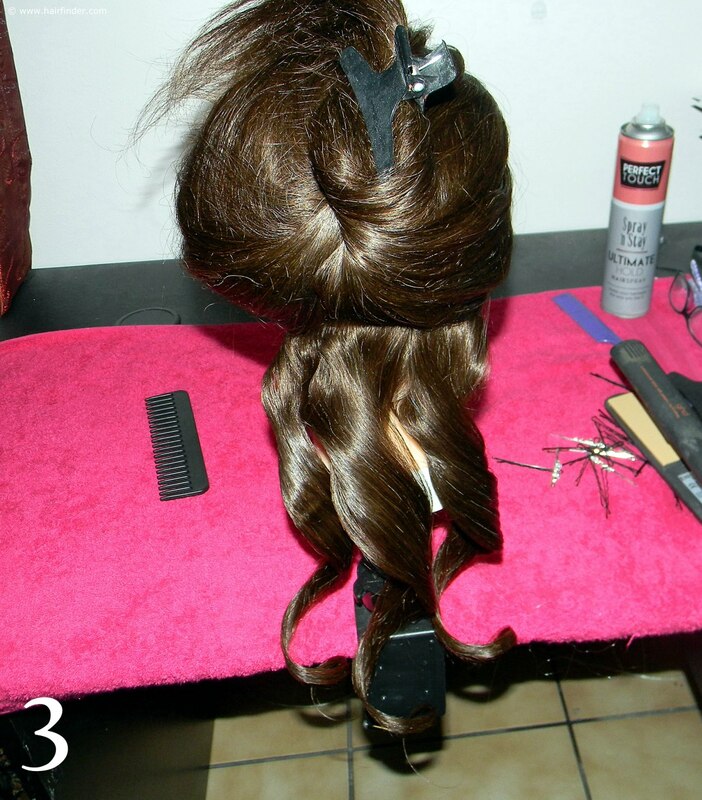 Slide the device down the length of the hair in this 180 degree angle to create relatively large uniform curls. 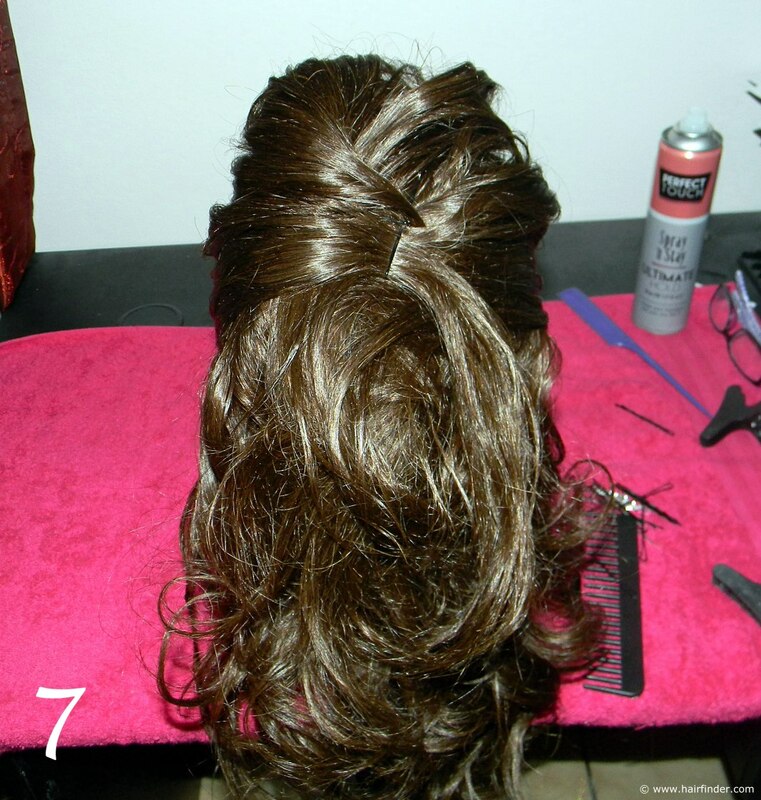 You can slide the flat iron in a fast manner down the length of the hair, as the objective is not to create tight curls. If you’re inexperienced or unaccustomed to this technique; use your large barrel curling tong. 4. 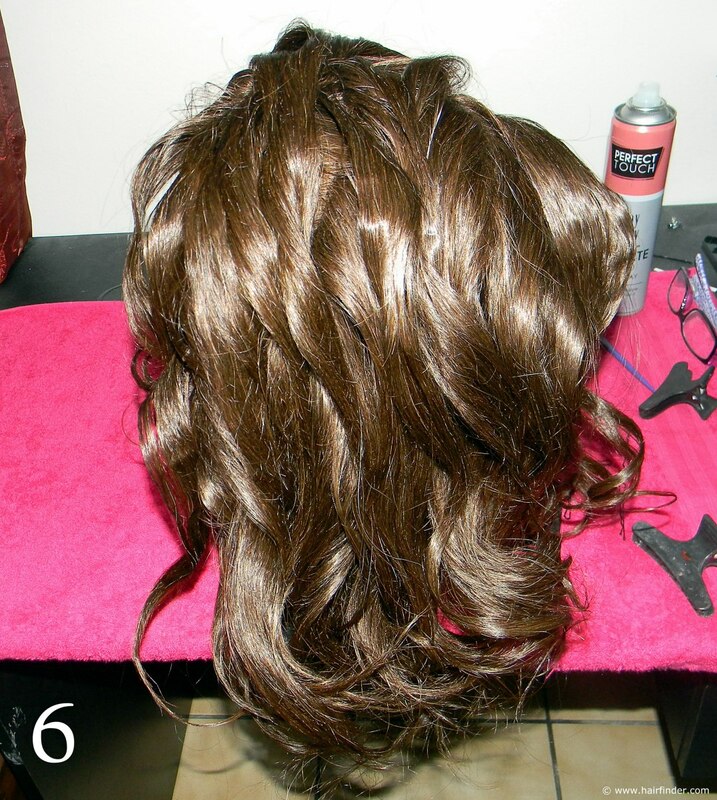 Spray the curls with strong-hold hairspray when you’ve finished with the section. Repeat the next section in the same manner. 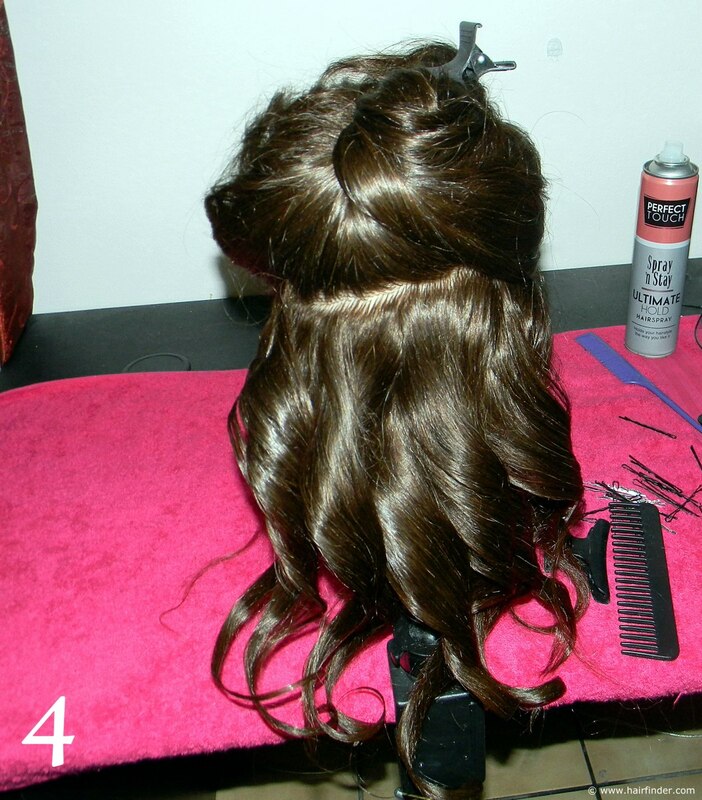 Section, curl and spray. Don’t use sections too large or too small. If your sections are too large, the curls will we too relaxed, and the hair easily returns to its straighter, natural state. 5. When you reach the area between the occipital bone and the fringe, draw a rectangle with the sharp end of your tail-comb. 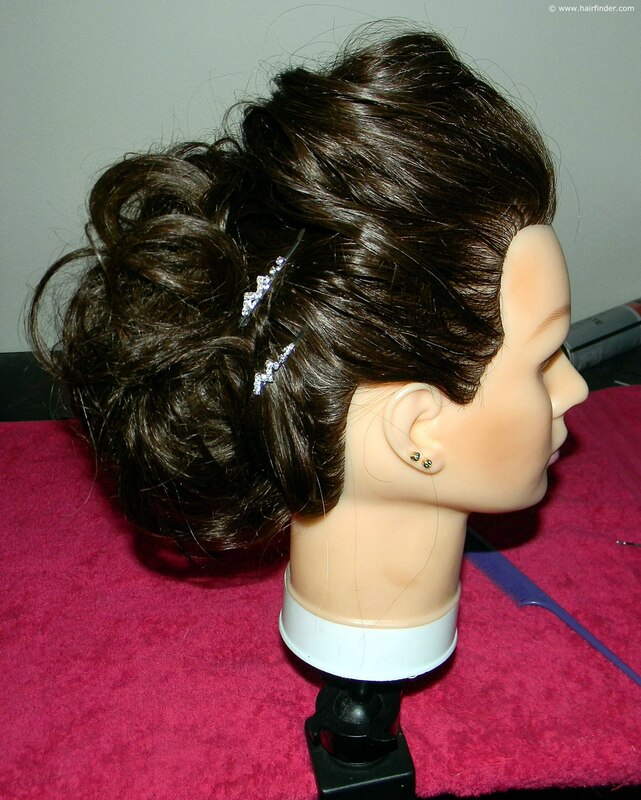 The rectangular section makes it easier to create the curls at the top of the head. Note that the width of this rectangle is just large enough to fit in three or four curls next to each other. This also improves the uniformity and aesthetic value of the style. 6. 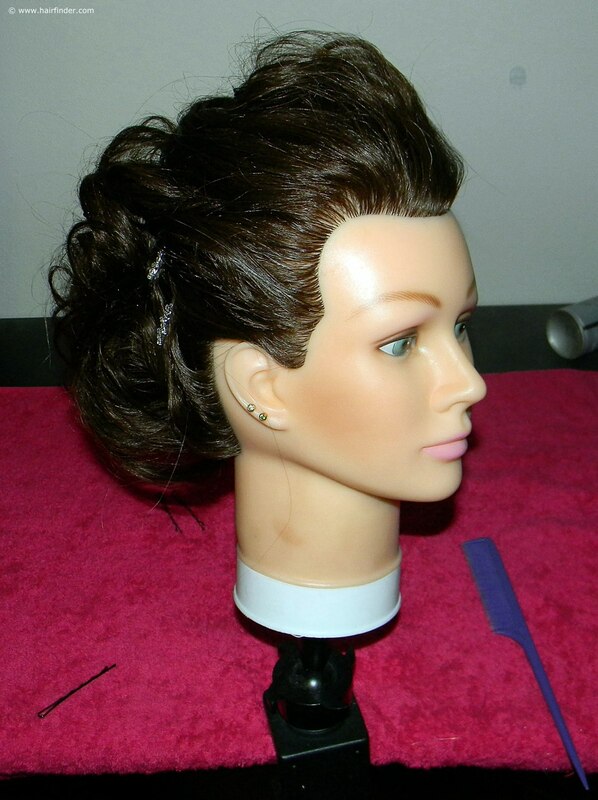 When you’ve finished curling the whole head, spray the hair generously with aerosol hairspray. Wait for about a minute or two for the hair spray to dry, and then ask your model to throw her hair back and forth four times. Gently comb through the curls with the tips of your fingers to slightly relax the curls and create a more relaxed look concerning the curls. Do not over-comb the curls, as you’ll end up with excessively relaxed curls, which will mean that you’ll have to curl the ends of the hair again.